The Handmaid’s Tale is an American television series created by Bruce Miller based on the 1985 novel of the same name by Canadian writer Margaret Atwood. The series was first broadcast on Hulu on April 26, 2017. The font used for the logo of the TV series is Champion Gothic Featherweight. Champion Gothic from Hoefler & Co is a headliner typeface available in six weights: Bantamweight, Featherweight, Lightweight, Welterweight, Middleweight and Heavyweight. 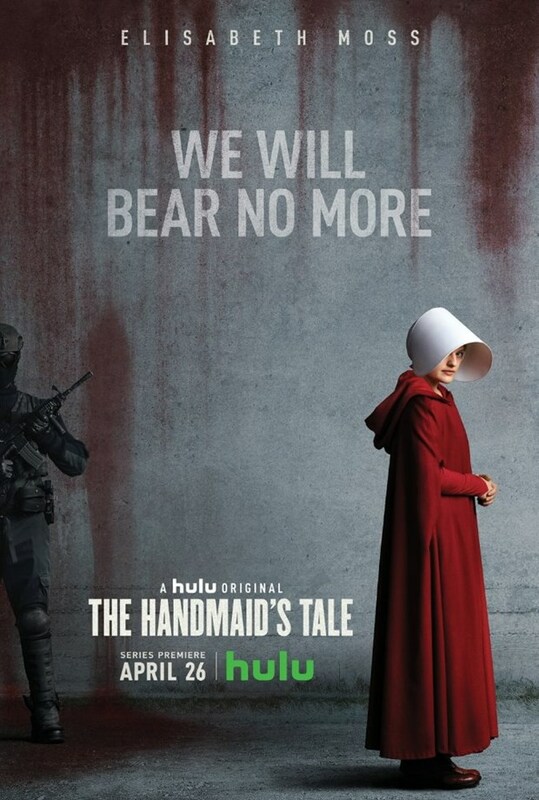 The tagline “We Will Bear No More” in the poster is probably set in FF Din Condensed Bold.